Louie is a ardent adventurer and the owner of BeyondXtreme ® Challenges and Sports and his company has many events planned for the coming years. His adventures have been written about in many newspapers and magazines world-wide and he has been on different Radio stations in many countries. He has also coined the phrase; “The New Radicals”, an apt name for himself as well as his fellow adventurous competitors! 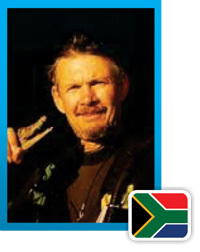 Louie Greeff is one of the BeyondXtreme ® Challenge directors and one of the Judges. He is also the Task Master and the Challenge Organiser who will give each Challenger their respective instructions. 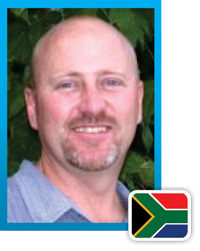 Louie Greeff is also a world-renowned author who has written one of the most comprehensive books of their kind titled “The DIY 4×4 Guide to Africa” and “The DIY Motorcycle Guide to Africa”. Bodo Wilke is the German Director of Operations and Logistics for BeyondXtreme ® Film Productions. He is also one of the key European Managing Partners of BeyondXtreme ® Sports and Challenges cc. Bodo is an ardent biker and seasoned traveler and it was while traveling the African continent many moons ago when he met Louie Greeff at the same spot as David Livingston did – The Mighty Victoria Falls…(quite ironic one might say, as an almost a modern-day like German Stanley [Bodo] travelling south from the north meeting a Dutch Livingston [Louie] who was traveling north from the south) and they became instant friends because they have the same ideals and a love of traveling and people in general. 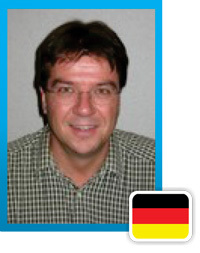 As Operations Director in Germany, Bodo’s task is to find vital sponsorship and media partners and maintain close relationships with sponsors and media partners thus ensuring an equal balance between the two. Sponsors, TV, Radio and Print partners will also form a vital part of the challenge as he will invite journalists to share in some of the experiences of the challenge. Leighton is s the South African Director of Operations and Logistics for BeyondXtreme ® and technical boff. Leighton provides all the technical requirements and support for the teams while they are on the road. He is also responsible for getting the latest information, visual footage and images of the challenges back to “civilization” via satellite. The website development as well as any additions, changes and updates are also handled by him. His very important task is to assist Louie with all formats of the challenge at hand. From a logistical side he coordinates the entire process and he has to make sure that the entire challenge runs smoothly from start to finish. Somewhat of an “adrenalin junkie” himself having sky dived, abseiled and white water rafted on the Zambezi, these challenges are right up his alley.